Mr. Schu: Salina, I love, love, love reading your picture books aloud to my students. Your bright illustrations, lovable characters, and endearing stories are always a hit with my kids. 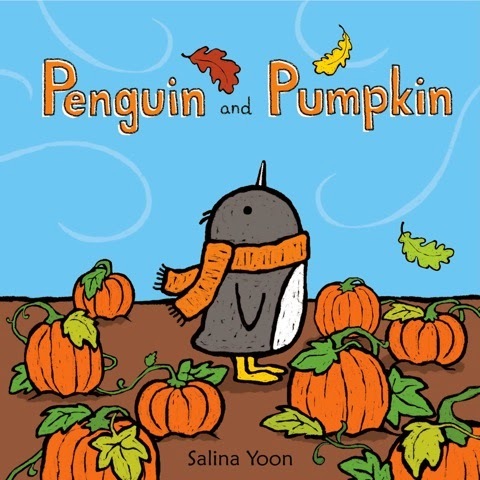 Salina Yoon: I love, love, love hearing that they are a hit with your kids! Thank you! Comments like these never seize to make my day! Salina Yoon: I'm glad you noticed! I suspect every child in the history of the world has lost a beloved toy at some point in their childhood. 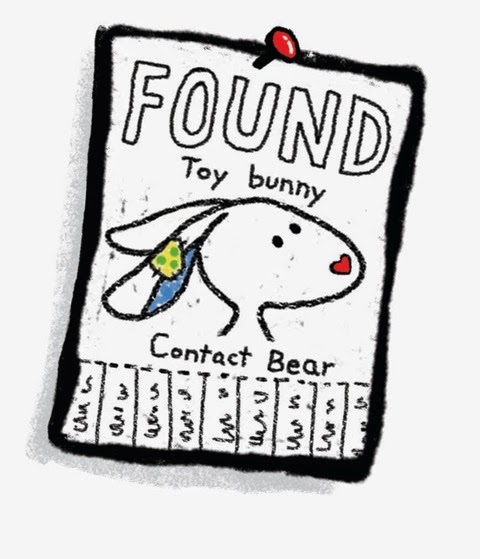 If the toy is lost, then I suspect they dream of being found and loved again just like Floppy. 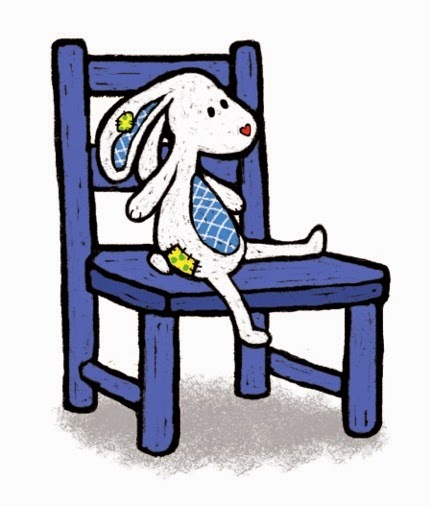 Mr. Schu: Please share with us how you came to write and illustrate a story about a bear who finds a lost toy bunny. 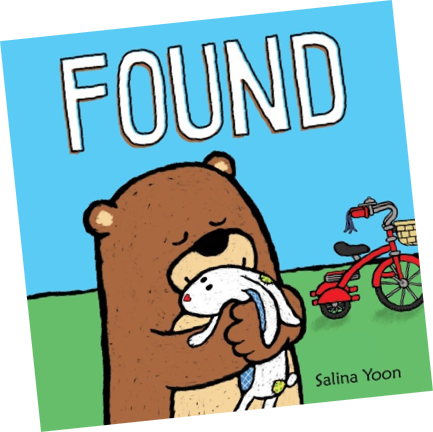 Salina Yoon: Even though I dedicated this book to lost toys everywhere, they are not what inspired this book. It was lost pets. LOST pet flyers are occasionally posted around my neighborhood, and sometimes I come across a FOUND flyer featuring a lost pet another family has found. I wondered if a child would grow attached to the pet if the owner didn't come forward immediately. 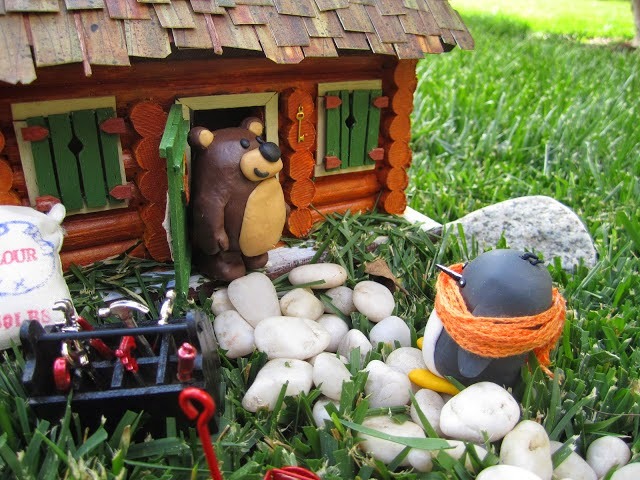 I explored the scenario further in my mind with Bear and a lost toy bunny. Not all children have pets, but all children do have favorite toys. And whether the found animal is real or not, their love for them is very real. 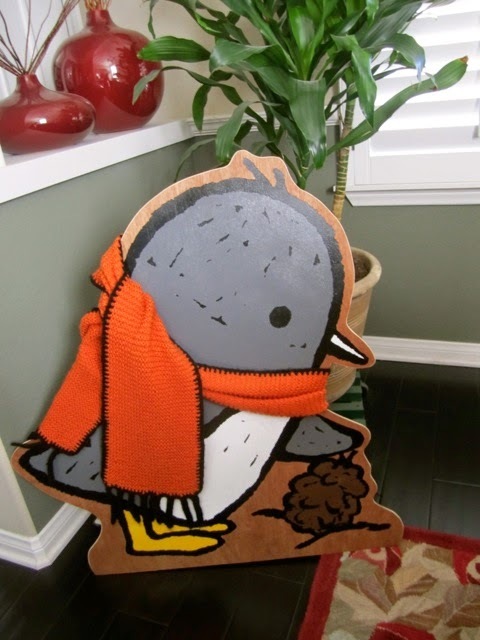 Mr. Schu: I smiled from ear to ear the day I found Penguin and Pumpkin in my mailbox. How will you celebrate its book birthday on July 29? Salina Yoon: That's a very good question! I suspect the celebration will include lots of leaves and pumpkins, and perhaps a cake! Perhaps a cake with leaves and pumpkins, and Pumpkin, of course! A pumpkin pie perhaps? Obviously there needs to be some planning! Thank you for sharing your adventures with us on your blog. I enjoyed reading about the day you met Bear in the forest. Are you excited to share Found with all of your friends? Thank you for visiting me on my blog. Yes, I am very excited about Bear's first book, FOUND, and I will share it with all of my friends! If you look closely, you'll see that I am somewhere in the book! You might also find a LOST flyer of a certain beach ball from a certain book I am in. Happy hunting! P.S. How’s your brother, Pumpkin, doing? 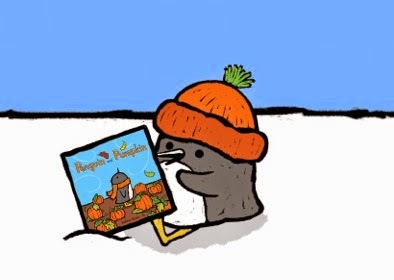 Pumpkin is so excited about his new book! He asks why he's not on the cover, but I tell him that it's still all about him! We need to be kind to our little brothers, because they look up to us! Mr. Schu: If we visited your studio, what would we see? 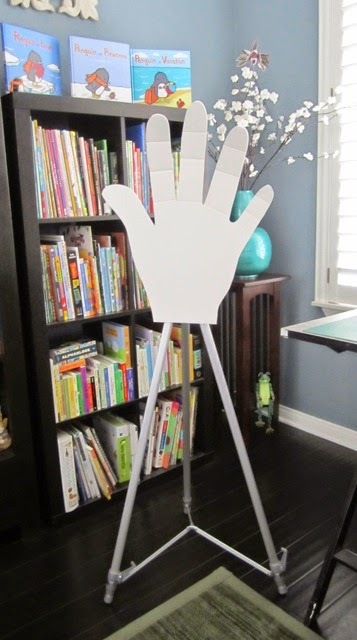 and a large hand-made hand that might wave hello to you (that I use to demonstrate finger-knitting at my book events). The fingers bend! 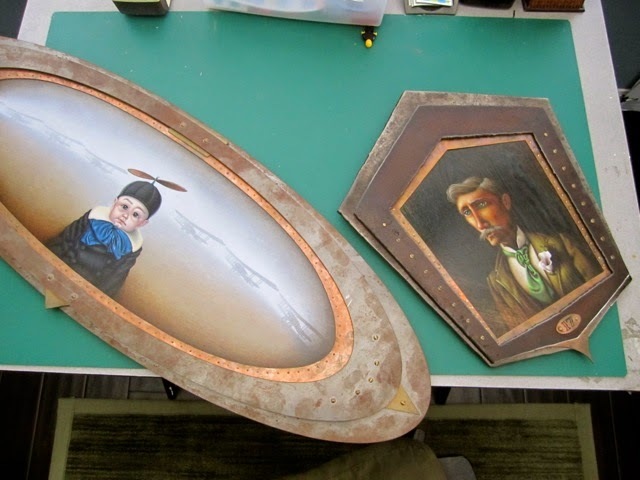 And what would you see in my husband's studio? 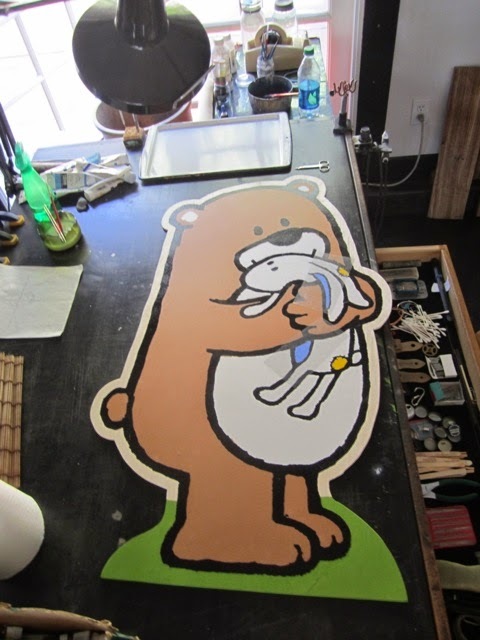 A hand-painted wooden Bear cut-out (based on the art from FOUND) currently being painted and constructed! Perhaps not his finest work, but certainly one that I think will be loved and adored by many. Picture books are so hard to write, but so easy to read! Reading is more fun with pictures! I am giving away one copy of Found. 1. It will run from 6/2 to 11:59 p.m. CDT on 6/4. Borrow Found from your school or public library. Whenever possible, please support independent bookshops. Thanks for sharing with us Salina. I really enjoyed hearing about what inspired you to write Found. I always find it fascinating how we authors come up with our ideas. I also enjoyed the tour of your studio. 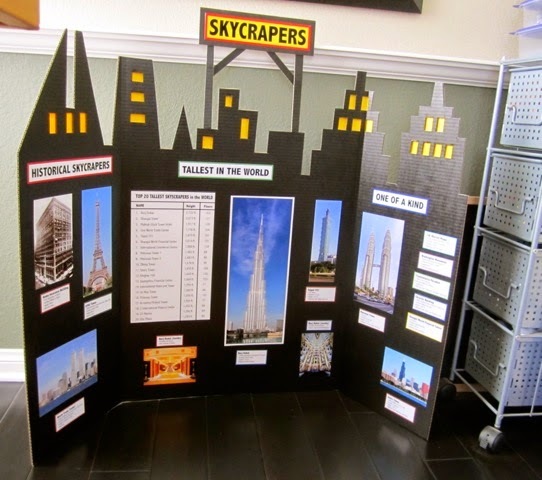 Your son's project was spectacular, especially the way he cut the board to resemble skyscrapers. I guess creativity runs in your whole family! And, I just checked out Penguin On Vacation so you will be seeing a review in the near future. Continued Happy Writing! Not that long ago I read ALL the Penguin books and loved them! This was so much fun to read and of course, I'm looking forward to reading about Bear and the toy bunny. Such a great premise, and I always enjoy hearing about the inspirational seed.